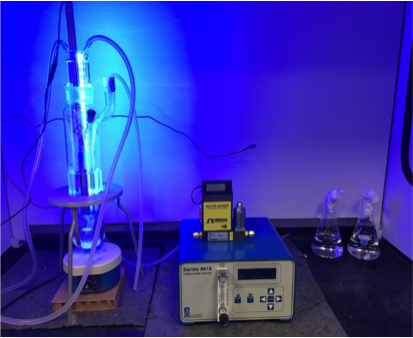 Dr. Benson's project takes waste carbon dioxide from large point sources was converted to saleable medium chain alcohols using low-temperature, light activated catalyst powders. These powders were synthesized, characterized, and tested for their ability to convert CO2 and steam to synthesis gas (CO and H2), an intermediate used for Fischer - Tropsch Synthesis. Dr. Chen's project is currently funded by TARC and Lamar Visionary Initiative. 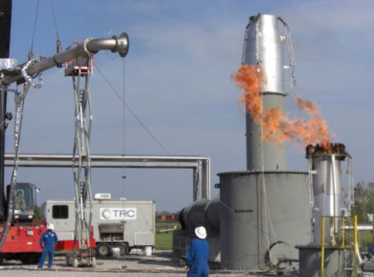 Response surface and neural network models were developed to predict the combustion efficiency (CE), opacity, and soot emission of industrial flare operations based on controlled flare test data. 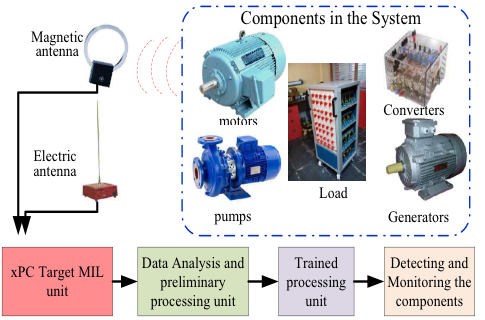 Dr. Chen's project uses process data from wireless sensors and Distributed Control System (DCS) to detect equipment malfunctions early on to facilitate preventive maintenance and to avoid incidents or costly shut-downs. Acoustic and electromagnetic (in addition to density, temperature, and flow) sensors will be explored in the associated experiments. Dr. Rafael Tadmor's project is funded by National Science Foundation, an experimental method was developed to measure the adhesion between a solid and a liquid. The method was tested on several systems and a comparison with theoretical understanding and literature estimates showed that this is indeed the work of adhesion, measured directly for the first time.